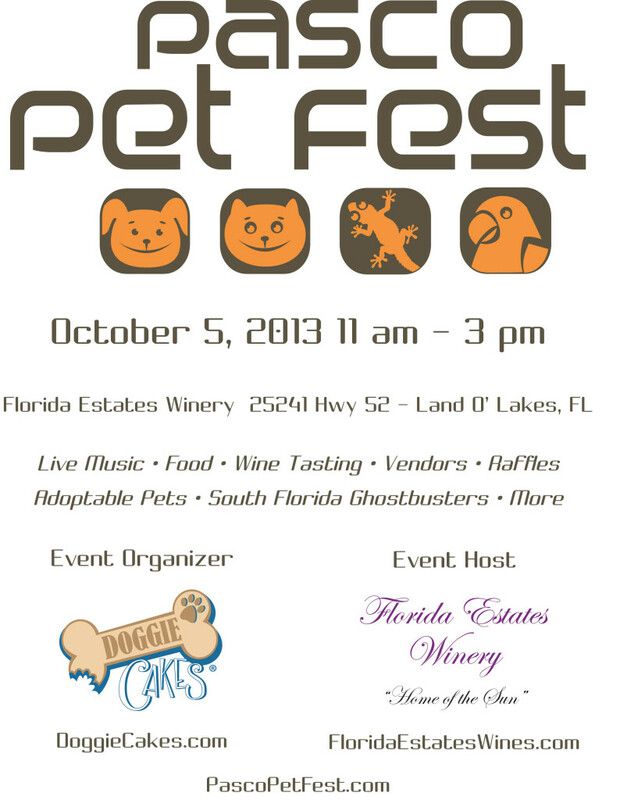 Doggie Cakes is hosting Pasco Pet Fest, on October 5th, 2013 – an annual event, with expected attendance of 1,000 to 2,000 people. The festival promotes adoptable pets in Pasco County, FL and surrounding areas. All of the proceeds will be donated to a local 501c animal rescue, Pit Bull Happenings. Many other rescues will attend at no cost, and will have opportunity to solicit donations and to promote their adoptions and programs.